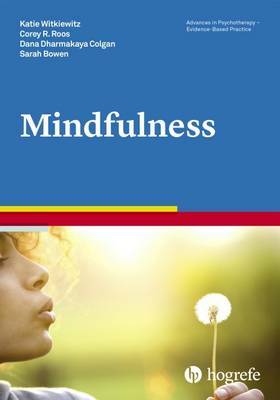 This clear and concise book provides practical, evidence-based guidanceon the use of mindfulness in treatment: its mechanism of action,the disorders for which there is empirical evidence of efficacy,mindfulness practices and techniques, and how to integrate theminto clinical practice. Leading experts describe the concepts androots of mindfulness, as well as examining the science that has led tothis extraordinarily rich and ancient practice becoming a foundationto many contemporary, evidenced-based approaches in psychotherapy.The efficacy of mindfulness-based interventions in conditionsas diverse as borderline personality disorder, post-traumatic stressdisorder, depression, alcohol and substance use, emotional dysregulation,attention-deficit hyperactivity disorder, chronic stress, eatingdisorders, and other medical conditions including type 2 diabetes andrheumatoid arthritis is also described. The book is therefore invaluablereading for all those curious about the current science aroundmindfulness and about how and when to incorporate it effectively intoclinical practice.